Egg shaped curiosity in an attempt to bring ultra cheap motoring to the masses otherwise forced to use motorcycles. Not so much cheaper than a Suzuki Alto to tempt enough buyers. Went the same way as 1950s microcars. 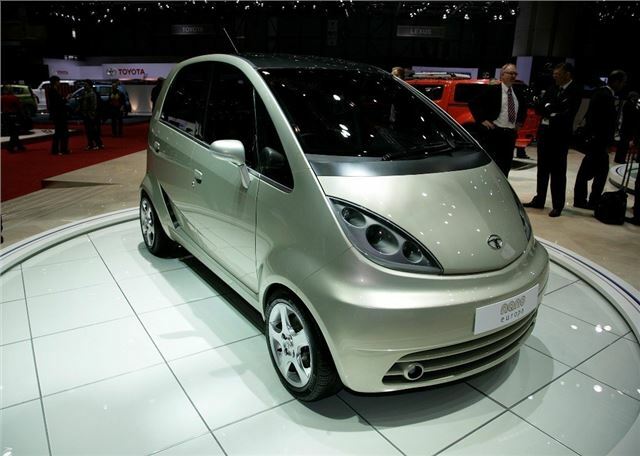 In India the Nano has been beset by industrial and quality problems which Tata said are now being ironed out.